Browse the latest Fairways West real estate listings in West Regina below! Fairways West is bordered by Kestral Drive to the north, the environmental reserve to the east, the Joanne Goulet Golf Course to the south and Wascana Creek to the west. Fairway West real estate is almost an island in the middle of the prairies. Bring your family home to Fairways West. Fairways West is situated in west Regina and offers a warm and relaxed atmosphere. This quiet community has been designed with the active family in mind. 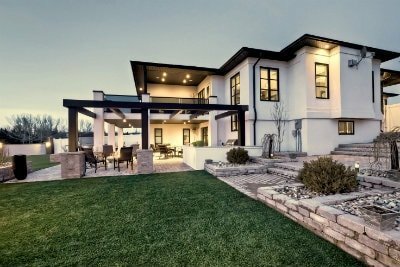 Fairways West homes for sale are comprised of traditionally designed homes, to custom built luxury homes bordering the golf course and there are lots still available to develop you future home on. From two storeys, to modified bi-levels, to spacious bungalows and the ever desirable walkout bungalow. Fairways West provides homeowners with outstanding views of Wascana Creek, the rolling terrain of the environmental reserve area and gorgeous front row seats of the Joanne Goulet Golf Course. Enjoy the extensive walking paths that connect to the city’s pathways and the Devonian Pathway. Blundon Park and Steinson Park are centrally located and offer play structures for the children, park benches for relaxing on a summer evening and nicely paved pathways for walking the dog or riding a bike. There is an outdoor skating rink located beside the Joanne Goulet Golf Course clubhouse. Interested in learning more about the Fairways West homes for sale? Take a moment to contact the Tourney Group online or call 306-789-1700 and chat with an experienced, local Regina real estate professional.